Comments: One of the best reds for sunny areas. There are some very nice new introductions that are well adapted for full sunlight. 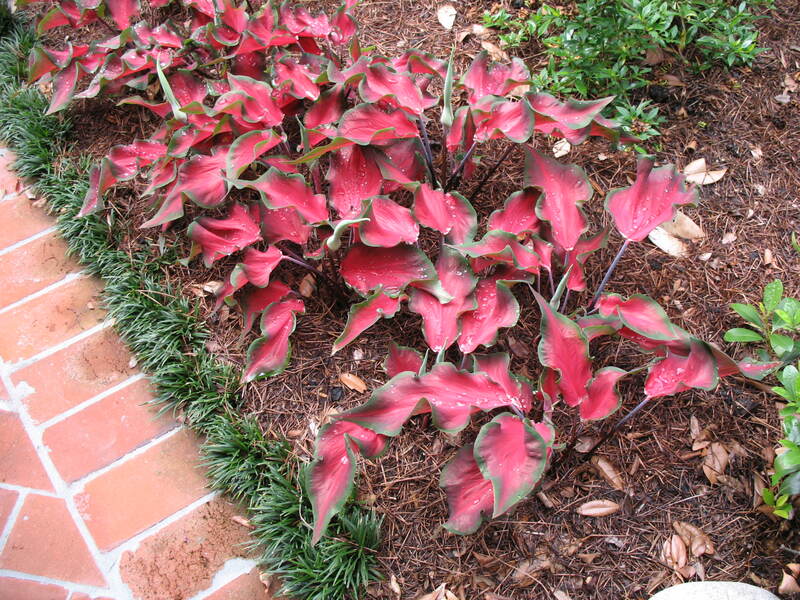 This has opened many new uses for caladiums that have always been reserved for shade.